Who needs fresh flowers when you can use fresh macarons? No one, that’s who! Today’s wedding cake was featured as an “autumn cake” but honestly it’s elegant enough that it would be perfect at any time of year. You could even choose to use bright colored macarons during the spring or darker colors in the fall or winter. 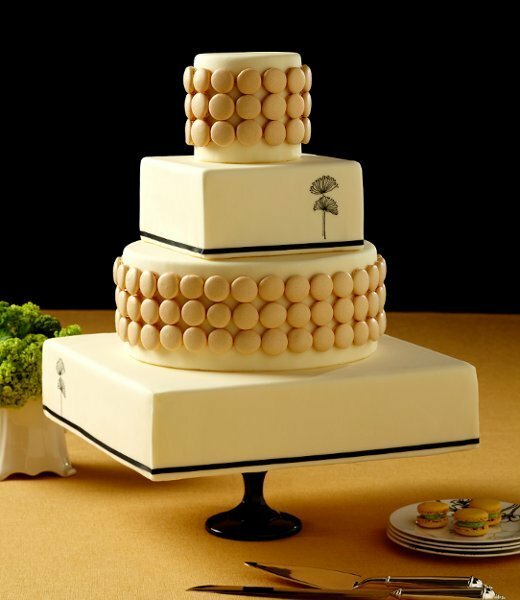 You’ll find this elegant and modern wedding cake here. 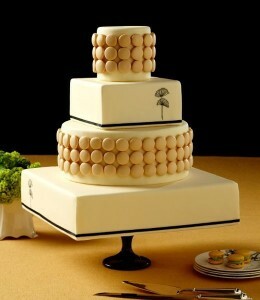 It was created by Superfine Bakery.